Having been awarded first place at the contest of the ‘Young Performers’ of Comblain-la-Tour in 2012, the Jérémy Dumont Trio performs on the main stages of the Belgian Jazz scene. 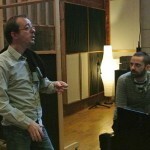 The repertoire of Jérémy Dumont’s personal compositions reaches full maturity with the release of the Trio’s first album in November 2014 recorded at the Igloo Studio and produced by Daniel Léon. 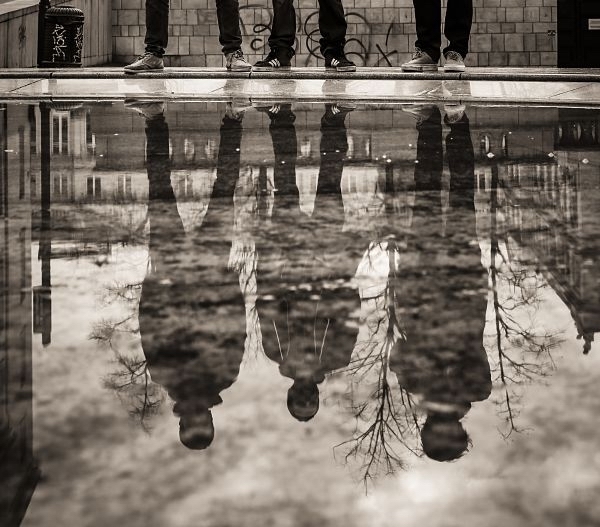 The Jérémy Dumont Trio is evolving and aims to offer through its own style and creativity a new listening pleasure to the audience of the Jazz scene. They want to continue to create music that embraces different influences and cultures and strive to gain recognition by the sharing of their enthusiasm. Resurrection takes its title from one of the compositions on the album. The title suggests the idea of a new beginning, the transformation that occurs with a new stage of life. Having spent several years creating, experimenting, meeting and playing with other artists and composing, Jérémy Dumont wanted to incorporate in this album his own personality as well as all that has inspired him. The goal of this first album is to share the result of these years of research, reflection, effort and accomplishment and expresses the various emotions that he experienced on this journey. The release of ‘Resurrection’ is a pinnacle, an important step in his path as a creative artist. Enriched by these experiences, encounters, discoveries and the realization of this album, Jérémy is looking forward with pleasure, longing and enthusiasm to what the future holds. 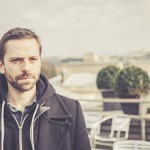 The Jérémy Dumont Trio is moved by great musicians like Chick Corea, Brad Meldhau, John Coltrane, Bill Evans, Herbie Hancock, Avishai Cohen and Robert Glasper. The result is a modern Jazz, respectful of its traditions, inspired by great contemporary masters. 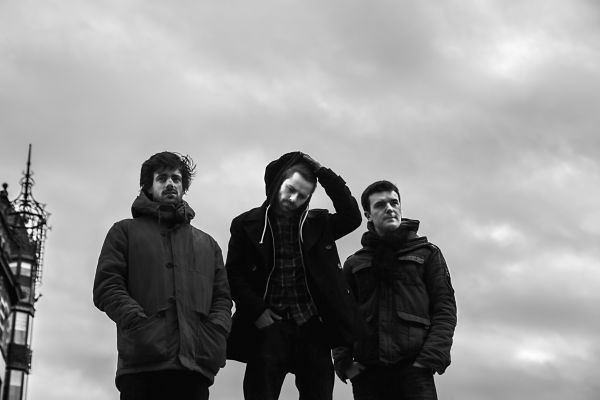 The Jérémy Dumont Trio has created a highly contemporary, upbeat, romantic and creative style. Their swing or groove pieces are beautifully intense and express a lot of emotion in their melodies. 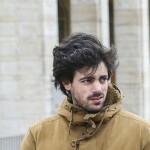 Jérémy Dumont was born in Brussels on June 26, 1987. He started playing the violin at the age of 5. For a while he was a member of the Choir at the ‘Maîtrise of the RTBF’ and started learning to play the piano at the age of 12 with concert pianist Karin Lechner. He finished secondary school in the section of classical piano at the Arthur Grumiaux Conservatory in Charleroi, complementing his education with a Jazz improvisation course taught by Thomas de Prins at the Jacques-Dalcrose Academy. This led to his decision to pursue Jazz. He studied for a year at the JazzStudio in Antwerp and participated in several clinics in Belgium and abroad while at the same time taking private classical piano classes with Geneviève Vandermeulen and jazz piano classes with Ivan Paduart and Eric Vermeulen. His encounter with the Greats of Belgian Jazz seduced him and he enrolled in the Royal Conservatory of Brussels to study with Eric Legnini. He graduated with distinction in his Masters course in 2013 whilst giving numerous concerts in various venues in Belgium, France and Luxemburg and aspires to perfect his education abroad. During his musical journey he explored different styles, mostly derivatives of Jazz and founded several ensembles: The Jérémy Dumont Quartet, soon renamed The Unexpected 4, Jérémy Dumont Trio, Solid Steps Quintet (a tribute to the very first album by American saxophonist Joe Lovano, recorded in Belgium in 1987), Brussels Pop Masters (a collective of musicians whose repertoire was entirely based on ad lib compositions including jazz funk hip hop) which evolved into JD’s & X-Project to finish as Soul Triggers. He has also been involved in numerous projects as sideman. He was awarded first prize for ‘Jeunes Talents’ at the ‘Dinant Jazz Nights’ 2010 (Belgium) with his quartet, first prize of ‘Jeunes Formations’ at the Festival of Comblain-la Tour 2012 (Belgium) with his Trio, he was a finalist in ‘Le Concours International de Piano Boris Vian’ in Ville-d’Avray (France) in November 2012 and finally Jérémy was nominated by ‘SABAM-Jeunesses Musicales Jazz Award 2013’. Fabio Zamagni was born on July 21, 1987. He started playing drums at the age of 13. Five years later, he began musical studies and immediately favoured Jazz. After his first year at the Jazz Studio in Antwerp he changed his course and enrolled at the Royal Conservatory of Brussels. During his studies, he had the honour to be taught by some of the biggest drummers in Belgian Jazz, namely Bruno Castelucci, Jan de Haas, Thomas Grimmonprez, Antoine Cirri, Jean-Louis Rassinfosse, Xavier Rogé and others. In 2012 he won with the Jérémy Dumont Trio first prize for ‘Jeunes Formations’ at the Festival of Comblain-la-Tour in Belgium. Currrently he is on stage with various bands playing modern Jazz, groove, soul and funk. He has performed with artists like Jérémy Dumont, Igor Gehenot, Paolo Loveri, Benoît Vanderstraeten, Charles Loos, Stephane Mercier, Michel Paré, Sam Gerstmans, Lorenzo di Maio, Chrysel Wauthier, Laurent Melnyk, Adrien Volant, Joachim Caffonnette and others. 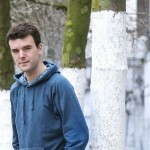 He is also a member of the Jérémy Dumont Trio and the Laurent Melnyk Trio/Quartet. Victor Foulon was born on November 21, 1986. The bass player, discovered the joys of making music during his adolescent years, thanks to his grand father who showed him a few chords of the Bossa Nova. Quickly passionate he gained a place at the Royal Conservatory of Brussels in 2008 where he studied jazz guitar followed by jazz double bass three years later. Having graduated in both instruments, we now find him on the double bass in projects going from traditional swing to more contemporary jazz. His guitar skills are used to develop his interest in world-wide music. In 2010 he received the first prize of “Jeunes Formations” at the festival of Comblain-la-Tour with the Evan Surya quartet (guitar) then in 2012 with «Saying Somethin Quartet» (double bass). ‘I wanted to be accompanied by a brass instrument for certain pieces. In fact, some compositions benefit and are more melodious when enriched by an additional instrument. My first choice was the saxophone’.